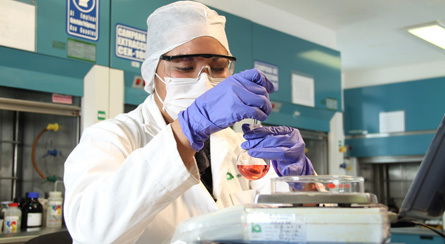 We are a 100% Mexican company dedicated to the manufacture of active pharmaceutical ingredients (APIs) for both national and international markets. Interquim was created in 1983 with the firm intention of contributing to the development of the pharmaceutical industry. We are one of the world's leading independent players in the production of Vitamin B12 derivatives, as well as specific products within molecules market niche. Our GMPs have been certified by several health authorities, both national and international. Interquim is constantly committed to innovation and high quality service standards.